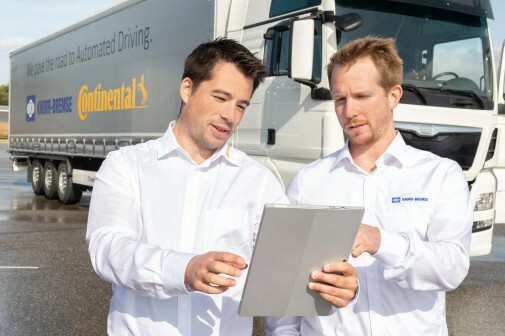 Knorr-Bremse and Continental have entered into a partnership to develop a complete system solution for highly automated driving (HAD) in commercial vehicles. This means that in the future the partners will be able to offer HAD solutions for truck series production of any size. The cooperation includes all functions for driver assistance and highly automated driving. The system consists of environment recognition, driving planning and decision-making, as well as the control of the actuator systems in the vehicle (such as steering and brakes) and human-machine interaction. The cooperation between the world market leader for brake systems and leading supplier of subsystems for rail and commercial vehicles and the Hanover-based technology company will initially involve automated convoy driving (platooning). Later development work will deal with automated driving on the freeway (“Highway Pilot”). In addition to system solutions, both companies will continue to offer their respective functionalities, components and subsystems individually on request and can thus react very flexibly to customer requirements. Knorr-Bremse will offer the complete system to commercial vehicle manufacturers in Europe, North America and Asia. 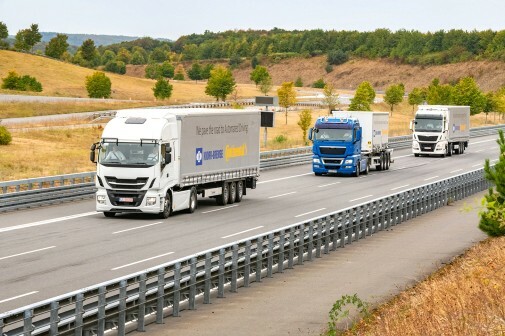 From the beginning of 2019, the joint platooning demonstrator, a convoy of three coupled trucks from different manufacturers, will demonstrate its capabilities to selected customers. At the level of environment recognition, Continental supplies the various radar and lidar sensors, cameras and connectivity technologies for vehicle-to-vehicle (V2V) and vehicle-to-infrastructure (V2X) communication. Continental also provides the intelligence that uses the acquired data to create a model of the respective environment. The model is a main prere-quisite for automated driving, because it enables the truck to orient itself in its environment: it recognizes objects, defines lanes, complies with valid rules and uses connectivity to contribute additional information that lies outside the range of vision of the sensors. The Hanover-based technology company is also responsible for human-machine interaction, which enables communication between the driver and the truck. With their cooperation in highly automated driving, both companies are also making a signi-ficant contribution to much more efficient driving, through platooning, for example, which can save up to 15 percent fuel and reduce vehicle emissions accordingly. The automation of individual driving functions such as lane changes, driving on the construction site and emergency braking will ensure that commercial vehicles are safer in the future.